*Heather grey 70% cotton/30% polyester. 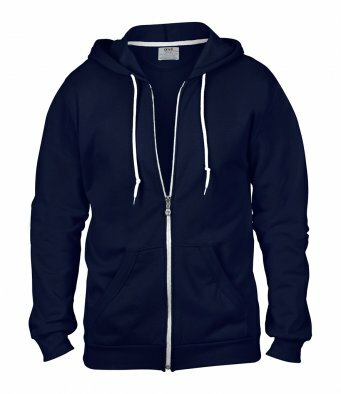 Unlined hood with white drawcord. Two inch rolled forward shoulders. Full length contrast white metallic zip. Front pouch pockets with ribbed edge. 1x1 ribbed knit with spandex at cuffs and hem.